The United States Navy won such overwhelming victories in 1944 that, had the navy faced a different enemy, the war would have been over at the conclusion of the Battle of Leyte Gulf. However, in the moment of victory on 25 October 1944, the US Navy found itself confronting an enemy that had been inconceivable until it appeared. The kamikaze, 'divine wind' in Japanese, was something Americans were totally unprepared for; a violation of every belief held in the West. The attacks were terrifying: regardless of the damage inflicted on an attacking airplane, there was no certainty of safety aboard the ship until that airplane was completely destroyed. 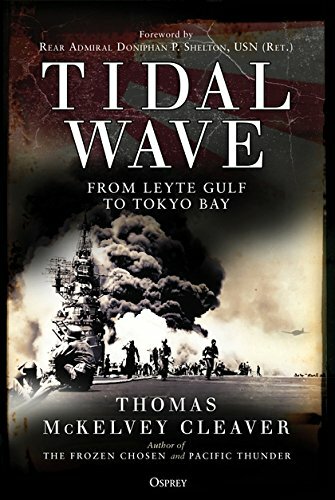 Based on first-person accounts, Tidal Wave is the story of the naval campaigns in the Pacific from the victory at Leyte Gulf to the end of the war, in which the US Navy would fight harder for survival than ever before.